When looking for a childcare center for their little one, most parents want to ensure their child is receiving the best academic education. But for young children, there is so much more to learn than ABCs and 123s. It’s important to look at the learning environment and the overall atmosphere of the establishment. 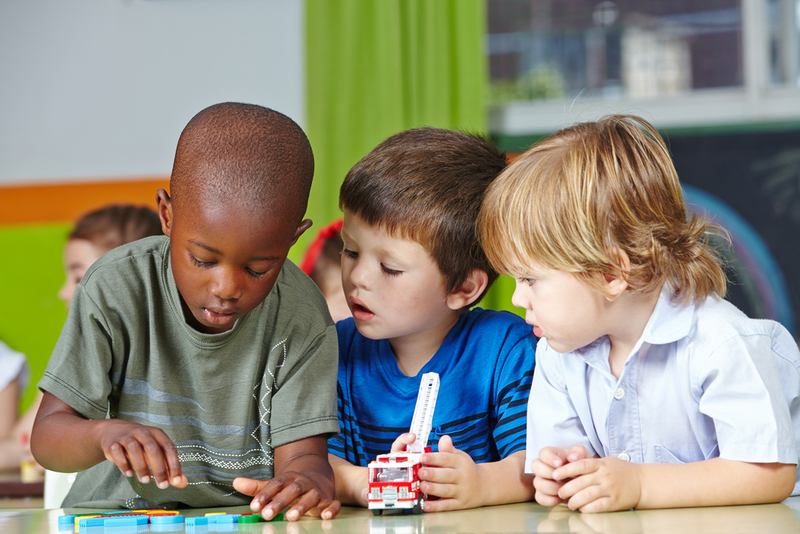 In addition to academic development, does the childcare center prioritize the importance of learning valuable life lessons and developing a good moral compass? The best childcare center will focus on social and emotional development just as much as cognitive and physical development. They will teach children good character traits and ethical behaviors. They will recognize the importance of character education. Children often learn quickly by observing your actions. That’s why it’s so important for you to act compassionately on a regular basis. You can do this by handling your day-to-day interactions with people in such a way in which your child is able to watch you be compassionate. For example, if you encounter a person that needs help, such as an elderly person coming out of the grocery store with heavy bags, stop what you are doing and offer to help. It’s important for you to take spontaneous opportunities like that, so your child sees that anytime is the right time to be compassionate, and to engage in acts of kindness toward others. The best way to show your child what compassion is all about is by acting on it. You can do this by giving back to the community through volunteer work. For example, you can take your child with you to donate food to a local pantry, visit a nursing home, or clean up litter in a local park. You can also ask them to help you make activity boxes for kids in local hospitals, which you could fill with playing cards, small games, puzzles, and small books. Unlike your average childcare center today, Cranium Academy takes character education seriously. We believe that fostering compassion at an early age is one of the most effective ways to prevent verbal, physical, and emotional aggression from taking hold. That’s why we incorporate compassion, or “caring,” into our character education curriculum. Our engaging character education curriculum utilizes real-world scenarios to help our students learn to use compassion in creative strategies that match their emerging cognitive abilities.